Blending aesthetic appeal and functionality, the Green Skull Camo Boot Knife features a lightweight fixed blade design which is well-suited for wearing on a belt or on the ankle and is perfect for self-defense purposes. To ensure a sturdy and dependable design, this fixed blade knife employs a full tang design and the blade is crafted from stainless steel. Serrations are featured at the base of each edge of this needle point blade, allowing it to cut as well as it pierces. 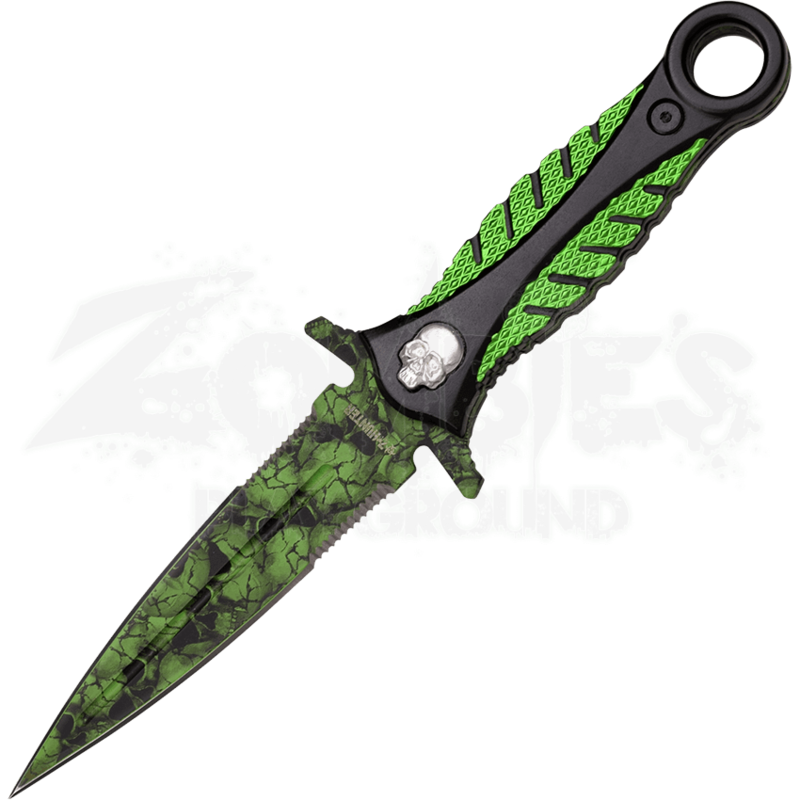 A green skull camo finish is used to enhance the eye pleasing look of this design and is complemented by a metallic skull decoration on the green aluminum handle. A black nylon sheath is included with this boot knife to allow for its safe and easy storage. 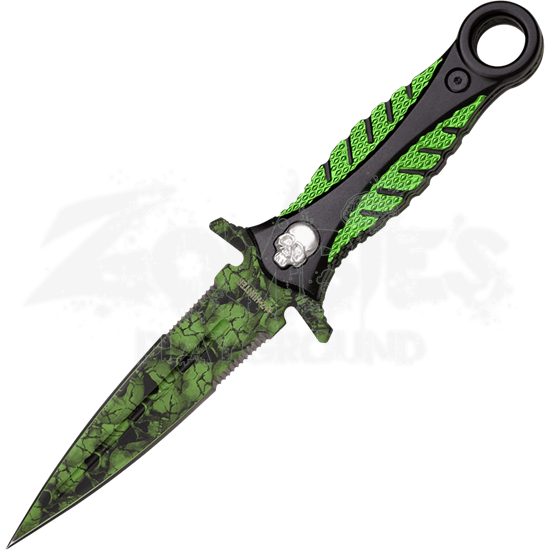 Bolster your collection of defense weaponry with the addition of the Green Skull Camo Boot Knife.